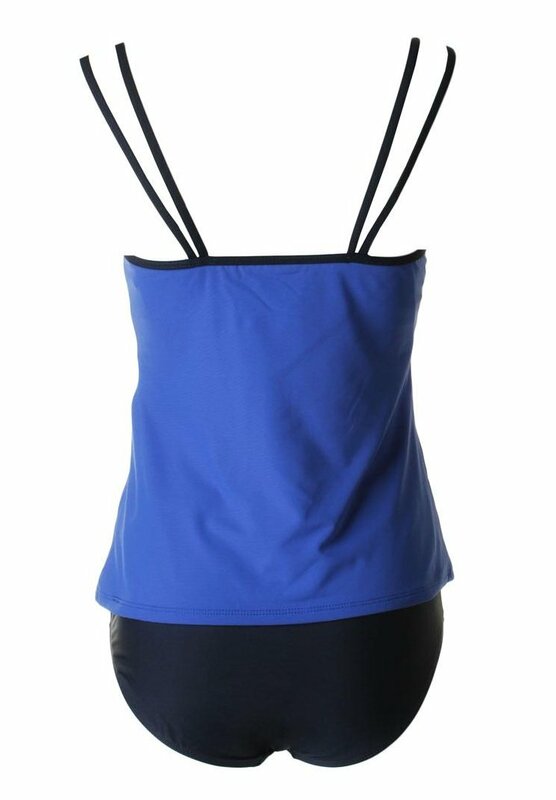 Beautiful bathing suit, 2 piece full coverage tankini by MAINSTREAM. 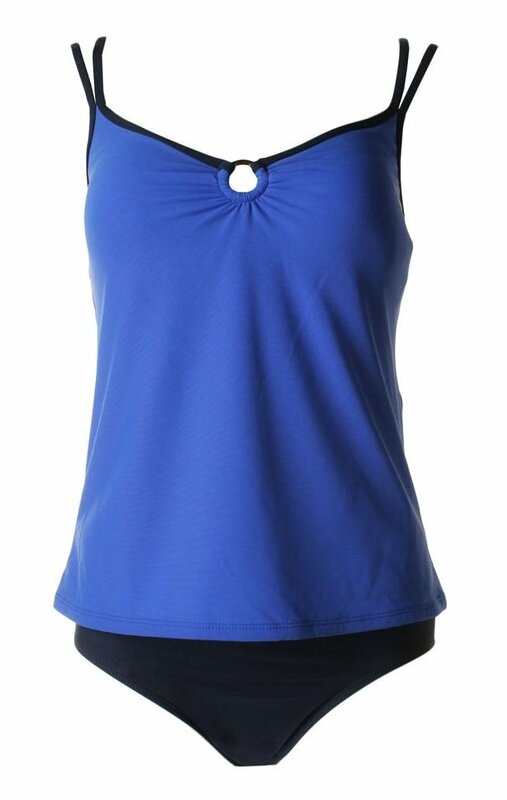 Royal blue purple and dark blue trim top with dark blue trim and o-ring front. Slight padding in built in bra. Fully lined top. Solid blue bottoms. BRAND NEW!